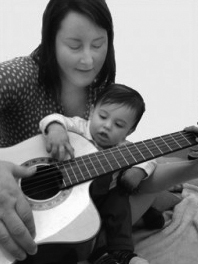 Baby, Toddler and Pre-school classes – A carefully crafted musical experience that will introduce parents and babies to a range of age appropriate instruments, and shared musical experiences, from singing and dancing to creating songs and playing games designed to support musical development from newborns to preschoolers. 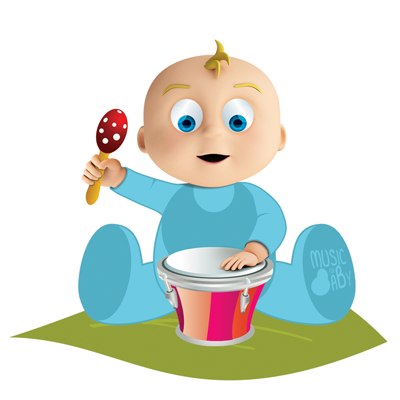 Visit Music For Baby Classes for details about our early years classes. Our record label is dedicated to providing music for early childhood. Our music features real instruments and superb musicianship with top musicians performing original songs and compositions as well as traditional favourites. You may want to try our Songs For Early Years and accompanying book for your setting, perhaps enjoy some sophisticated Jazz Nursery Rhymes, or explore our guitar or piano lullabies to incorporate into your sleep routine. Whatever your musical requirement, our collection of around 15 albums can be bought on CD from various independent retails, online through our Musical Leaves Store, or downloaded through all major reputable digital download sites such as iTunes. ﻿﻿Karen B.Ed (Music), MA Education (Distinction) is a qualified teacher specialising in Early Childhood Music. She is an invited member of DEYMN, Music F’EAST and LEYMN, the core steering groups for early years music in Devon, East of England and London, and was formerly the head of the British Academy of New Music in London. Karen is able to undertake research on behalf of projects and organisations, and provide training to early years workers. For enquiries or details please contact Karen.